At one point during the season, both the Dallas Cowboys and Indianapolis Colts were thought to be dead and buried. For the Cowboys, it was after losing to the Tennessee Titans in Week Nine and falling to 3-5. 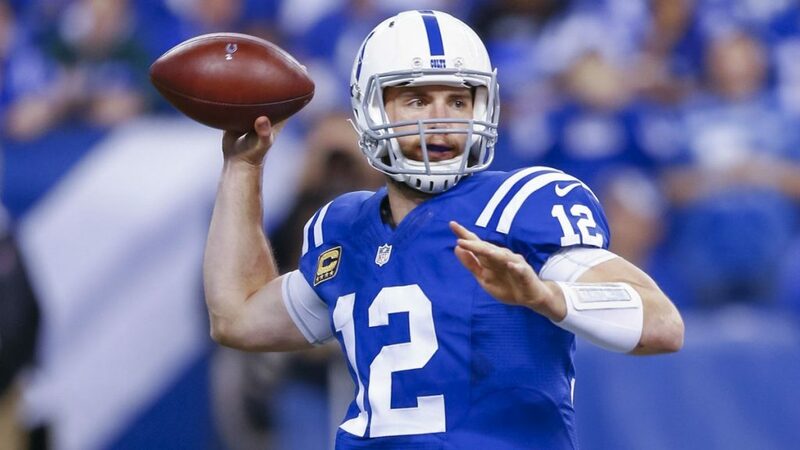 For theColts, it was after losing their fifth game of the season back in Week Six tofall to 1-5. Suffice it to say, it didn’t look good for either team—but that is not the case anymore. The Colts have gone 6-1 since Week Six. Andrew Luck has been nothing short of incredible and the Colts defense has been amazing the last couple of weeks. Dallas is riding a five-game winning streak and is coming off a game that saw Dak Prescott throw for 455 yards. They are the two hottest teams in the NFL. The Cowboys need a win to maintain control over the division. The Colts need to win to stay alive for the No. 6 seed in the AFC. Both teams are proof that a turnaround is possible during the season. It may just need a little more work and a few calls to go a certain way. It could be as simple as adding one player to the mix. Indianapolis became a better team this season simply with the return of Andrew Luck. While a little rusty early on, he wasted little time regaining his reputation as one of the best young quarterbacks in the NFL. His eight-game streak of 3+ passing touchdowns has made him a fantasy darling this season. But the team was only 5-3 during the streak due to Luck’s mistakes (five total interceptions against the Jets and Patriots) and a questionable coaching decision (the overtime loss to Houston). But then the Colts developed a solid running game behind Marlon Mack. The offensive line went through a seven-game stretch where they gave up only two sacks (and went five games giving up zero). Defensively, theybegan to turn in better and better games with each passing week. They have not given up 100+ yards rushing to a single running back the entire season. 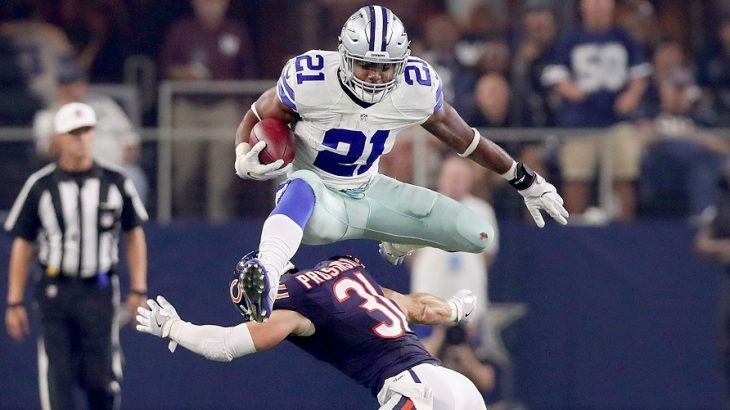 But they also haven’t faced a running back like Ezekiel Elliot. Elliot has had a couple injury scares in recent weeks, but he has yet to miss any time and is not expected to miss any this week. However, he will be without the services of one of his best offensive linemen, Zach Martin. There is a chance Tyron Smith could miss the game as well. Since the coaching change mid-season, the Cowboys have been able to roll with injuries to the offensive line much better. Much of their success on offense begins with the run game—so, that’s a good thing. But success on offense is not as dependent on the run game as it once was. The acquisition of Amari Cooper prior to the trade deadline has proven to be a genius move. With a legitimate downfield threat, the Cowboys passing game has taken off. Before Cooper, Prescott was lucky if he cracked 200 yards passing in a game. Since the team acquired him, he has thrown for 200+ in every game and even 400+ in one! But the offense is not what makes the Cowboys tough to beat. They have the third-best run defense in the league, the No. 8 passing defense, and are second in points allowed. Dallas has struggled on the road this season (2-4) which is probably why the Colts are three-point favorites. It could also be because many want to believe the shoe is going to drop on the Cowboys and they will revert back to being not very good. As they appear to be over their last five games, the Cowboys are the most complete team the Colts have played all season. Offensively, this game could look a lot like the most recent Jacksonville game for the Colts. The Dallas defense is not going to give Marlon Mack much (if any) room to run. Andrew Luck is not going to find it nearly as easy to connect with TY Hilton as he did last week—assuming he is healthy enough to play. Dallas should be able to control this game, but there is one X-factor working against them and for the Colts—Dak Prescott’s ball security. If the Colts can force a few turnovers, that could be the break they need to win the game. Take the Cowboys to win. If they don’t, the Colts will not win by more than three (so take the points). As for the over/under—take the under(47.5).